Siena is celebrated not only for its art and history, but for its traditional hearty cuisine and the excellence of its local products. Siena con Gusto! is a course designed for both, students and professionals, who would like to extend their study of Italian to include the tastes of local traditional food. Instruction and tastings are led by native speakers and experts whose passion, knowledge and dedication will shape each lesson. The Siena con Gusto! course consists of four language lessons every morning for one week. 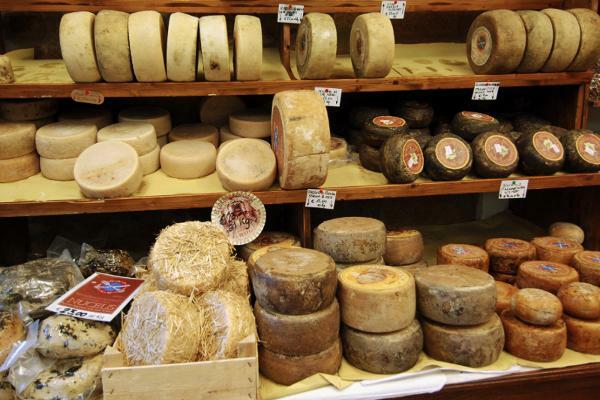 Afternoons are devoted to the appreciation and sampling of Sienese cuisine. Afternoon program ▪ An introductory tour with your course leader followed by a delicious aperitif in the Piazza del Campo, the pulsing heart of Siena. ▪ Two hands-on cooking classes led by the chef of a traditional Sienese restaurant. After preparing your dishes, you will enjoy your meal accompanied by Tuscany’s fabled local wines. ▪ A wine-tasting of the world famous Brunello led by an expert sommelier. As you sample, you will learn the characteristics of Tuscan wines and come to appreciate the complexities of wine production.